At Chapman University, we strive to be good neighbors in everything that we do. The Office of Community Relations proudly serves as a liaison between the University and the residents, city and elected officials, civic organizations, and businesses who call our surrounding communities home. Whether you are interested in learning more about how the University is engaged with local schools and non-profit organizations, you wish to speak with someone about a challenge in your neighborhood involving students, or you are simply looking for more information on how to catch the next headliner at Musco Center for the Arts. We are always available to help our neighbors. Create an environment where Chapman University is accepted as an integral part of our surrounding communities. 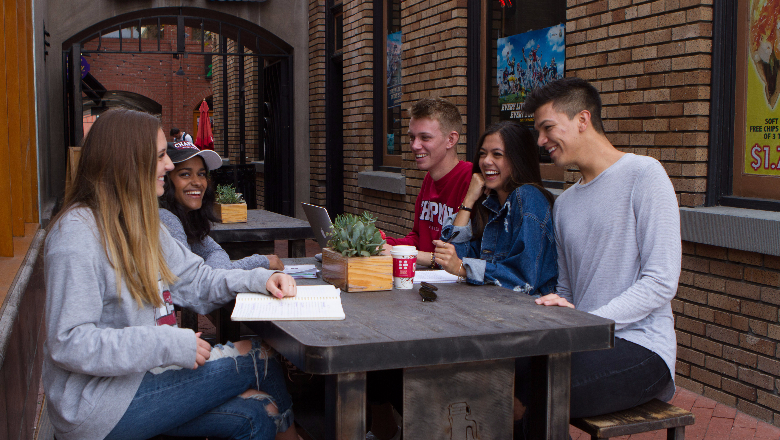 Chapman University’s Office of Community Relations will build upon positive relationships between the Chapman Family and the community to create common ground and mutual understanding. Chapman University’s Office of Community Relations will continue to support the Chapman Family—including students, faculty, and staff—in developing meaningful relationships with the greater community. In doing so, we will create a connection between Chapman, its brand, future projects and community relationships. The values listed below will help this office maintain that connection and promote a beneficial community-University partnership.